It’s terrible having to wear glasses. They slip off your nose when you perspire (a very frequent occurrence in Singapore), they prevent you from lying on your side to read in bed, and they get dirty so often, which sort of chips away at the visual help they provide. And as if to add insult to injury, glasses are rarely cheap. If you require additional features like thinner lenses, or have astigmatism on top of short- or long-sightedness, then you can be prepared to pay upwards of a couple of hundreds of dollars each time you purchase a new pair of spectacles. Online optical store Visual Loft might have a way to fix that. The site was launched in June this year by co-founders Lester and Adrian, and thanks to their online platform, they’ve cut down on overheads and pass on their savings to consumers. 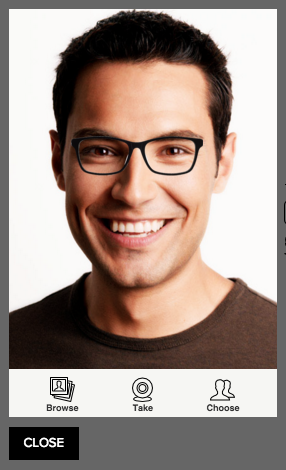 This allows them to price their glasses at a relatively affordable range of $85 to $125. But wait, an online optical store? Numerous questions understandably spring to mind when you hear of the concept: how do you get your eyes checked? How do you adjust the fitting of your glasses after they’re made? How will you get to pick the frame you want? It’s simple, really. Lester, who’s an optometrist with more than 10 years of experience, explains that they’ve partnered with various physical optical stores around the island, so if you don’t know your prescription, you can simply pop into a store near you to get a copy. After you receive your glasses in the mail, you can also go back to the store to get it adjusted for free. To let you pick out a suitable frame, the team behind Visual Loft have come up with a convenient service, which they call the Home Try-On Programme. How this works is simple: from their website, select up to five pairs of glasses or sunglasses and have them delivered to your home for you to try on. You get five days to make your decision, after which you have to send the frames back by mail. This service doesn’t come free (it costs $15), but should you decide to purchase a pair later on, you’ll receive a $15 discount code as a reimbursement of sorts. $15 is a relatively small price to pay for something you’ll need every waking hour, in any case. If you’d prefer not to pay an additional $15, you can always choose to upload a selfie onto the website, where your selected frame will be placed over your photo to give you an idea of what to expect. A lot of the available images are of non-Asians, so you’ll have to upload your own photo to get a better idea of how a frame will look like on yourself. One of the problems with such a system, of course, is that you fully expect some of the more kiasu amongst us to want to take advantage of it, perhaps by requesting for frames over and over — and end up not buying a single one. Lester reveals that this has not happened yet, though he says good-naturedly that if a customer were to request to try on more than 10 frames, he’ll gladly arrange for the customer to make a trip down to their office, where they’ll be able to try out as many frames as they want. Since their launch, says Lester, they have received encouraging response from their customers. 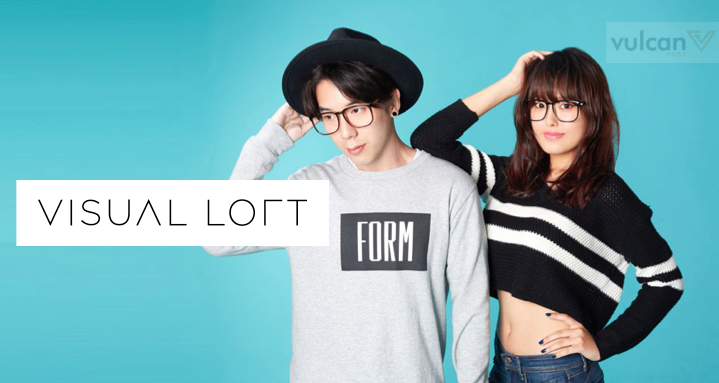 While he declined to reveal sales numbers, he said that about 80% of those who registered for the Home Try-On Programme end up purchasing glasses from Visual Loft — a healthy figure, by most standards. The social media savvy team have also done what traditional optical shops have failed to do, which is to reach out to Instagrammers and national athletes to get them to try out their products. This has worked out well in their favour, as proven by the rows of photos starring local personalities on their website. In the future, they plan to open a pop-up store here in Singapore, and are also looking to expand into the regional market, starting with Malaysia and Indonesia. 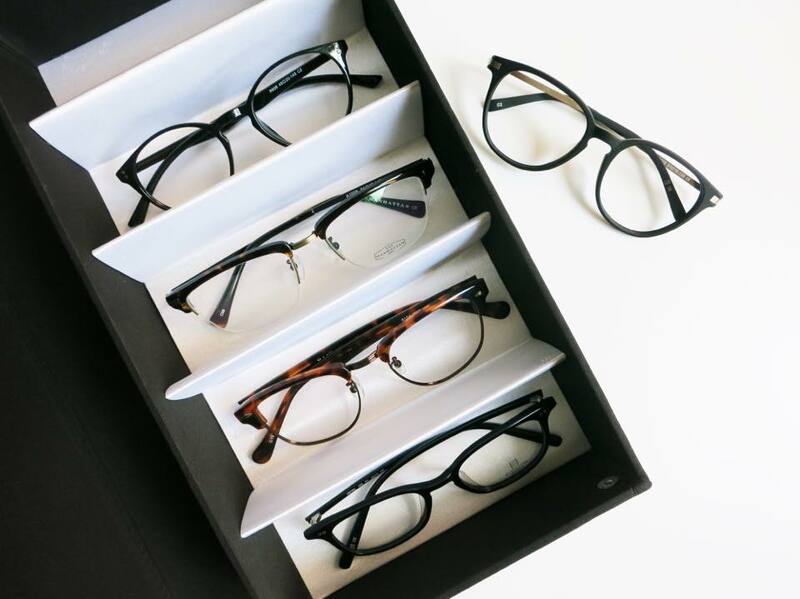 Will Online Optical Stores Take Off? Visual Loft is not the first of its kind; neither will it be the last, seeing as Singapore has the highest rates of childhood myopia in the world. 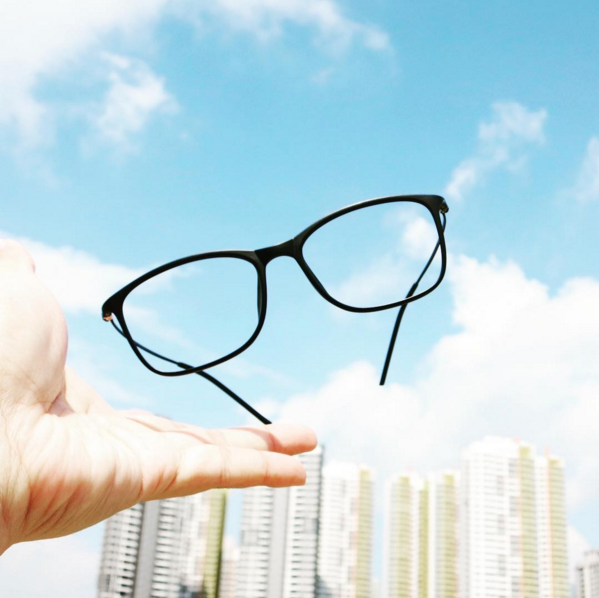 And with both parents and children bearing the brunt of the rat race with consequences like having less leisure time, it seems like online optical stores could do very well in the near future. Yet, it might take a lot to convince the spectacle-wearers amongst us to adopt such platforms. After all, many aspects of the spectacle-making process require face-to-face interaction to work out efficiently. And for those whose optical conditions are so serious as to be debilitating (and therefore share a close relationship with their opticians), they might be unwilling to sacrifice this human touch, which can arguably make their condition a lot more bearable. One way to work around this is to have a team of certified optometrists on hand to make house calls — a service available overseas, and something the Visual Loft team admits to have considered. Unfortunately, Lester explains that this is not currently feasible in Singapore due to high labour and logistics costs. With optical shops available at the ground floor of nearly every HDB block, there doesn’t seem to be a demand for this service either. Despite the obstacles in the way of online optical stores, however, they do seem to have at least some factors working in their favour. 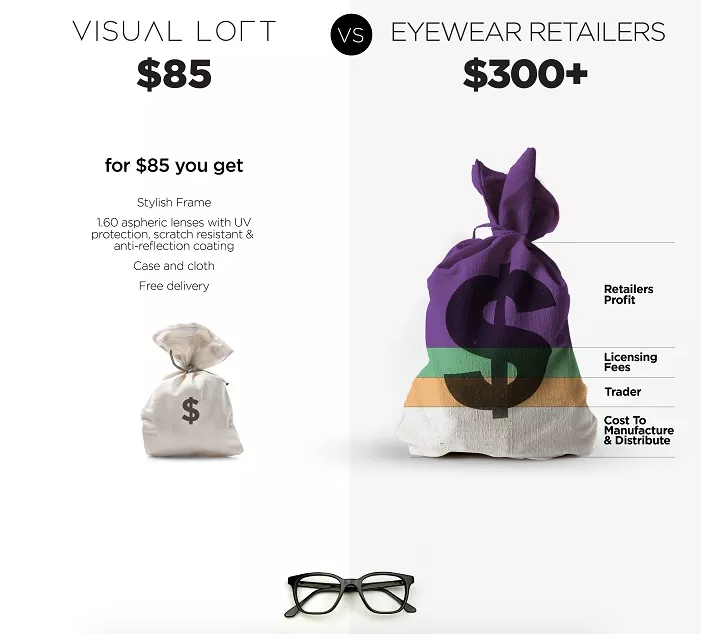 With a greater online reach and lower prices — both of which can be strong deciding factors for consumers of today — platforms like Visual Loft could well be the next e-commerce industry to look out for.